Your mold problem can be a nightmare if you don’t know the proper steps to mold removal. If you notice an earthy or musty odor or see discolored, fuzzy spots, then you probably have a mold problem. You must take action now. Maybe this isn’t the first time you have dealt with mold. You scrub and scrub your home, but it just keeps coming back. There are a few tips you can follow in order to remove mold and keep it from coming back. The first step in any removal attempt is to fix moisture issues. Mold needs moisture to survive, so if you remove sources of moisture you will not have further mold problems. Go through your house and fix leaky pipes, the leaky roof, and any overly-humidified rooms. You should also inspect any air conditioning unit in your home and check the drip pan. Any source of moisture can cause mold, no matter how small. Fixing moisture problems basically gives you a clean slate; you can now feel confident that mold will not return after you take care of the problem. There are many important mold removal tips, but one essential tip is to dry moist areas immediately after wetness occurs. 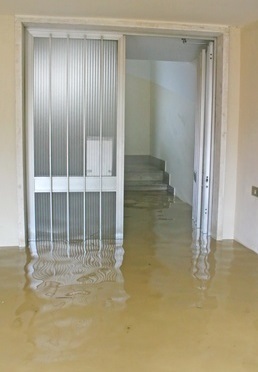 This is especially important if your home has been flooded or there has been a serious leak. Large quantities of water will result in a serious mold problem. The area must be dried immediately or you will certainly experience mold in your home. If the area is already moldy, you need to dry it completely before beginning treatment. Wet materials such as rugs or carpets should be dried as quickly as possible. If carpet is already moldy, you will need to dispose of it immediately. The U.S. Environmental Protection Agency recommends against trying to clean mold yourself if the mold covers more than 10 square feet, if the mold is in the HVAC system, or if the mold was caused by sewage or contaminated water. Also, if you have any health concerns, speak with your doctor before starting any cleanup. Any effective mold cleanup should include the proper cleaning and disinfecting steps. First be sure that the room has been sealed with plastic and duct tape so that any mold spores that become airborne do not get into other areas of your home. Make sure you protect yourself by wearing an N95 face mask, goggles, gloves and protective clothing. You can clean non-porous surfaces with detergent and water and then disinfect these surfaces with an approved mold agent. You should only attempt to clean non-porous surfaces such as plastic and tile. Unfortunately, porous items will need to be discarded and replaced. Wood can be salvaged by sanding it down to remove all the mold that has penetrated the surface, and then disinfected. However sanding moldy wood can be very dangerous and should only be attempted by trained professionals. Due to the complexities involved, we recommend you work with a mold removal specialist in order to ensure that all the mold is removed and that your home is safe. None of these mold removal tips will make a difference if the mold returns to your home. After working with a mold removal specialist, you will need to take preventative measures to keep the mold from coming back. You can prevent mold from returning by keeping an eye on moisture sources in your home. If you notice a leak, make sure to take care of it right away. If a small amount of mold returns, remove it immediately and look for the moisture source that is feeding the mold. If an area of your home is humid, like the basement, put in a dehumidifier. No one wants to deal with a mold problem, but the mold removal process can be straightforward if you follow a few simple tips and work with a mold removal specialist. If you try to tackle the problem on your own, you may end up getting sick or having an issue with mold reoccurring. You may be able to take care of some of the mold problem, but do you really want to risk the health and safety of you and your family? A mold remediation specialist will assess your home at no cost to you. A specialist will know how to locate all areas of mold growth in the home, including those in places homeowners often miss. 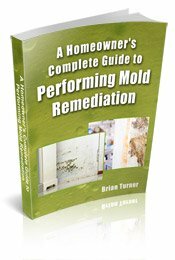 A specialist will not only know how to remove all the mold, he or she will also know how to prevent it from coming back. A specialist will know how to handle potentially hazardous strains of mold safely, without contaminating other areas of the home or exposing you to further health risks. A specialist can give you instructions about how best to clean specific areas of mold, in the event you decide to handle the cleanup yourself. Just follow this link to find a list of mold remediation specialists in your area.